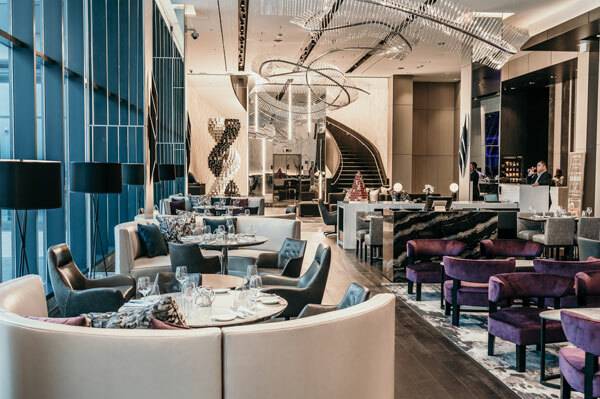 The Toronto Marriott Markham Hotel has officially opened its doors, offering an unrivaled guest experience that inspires guests with 209 sleek, modern guest rooms, an unexpected art collection, and top rated F&B offerings. Through personalized service, inspired and flexible meeting space and top of the line amenities, the Toronto Marriott Markham offers a premiere venue for meetings and social events, as well as leisure travel. The 192,000 square foot hotel is owned by the Remington Group and managed by Marriott International. Nestled centrally in downtown Markham, in the middle of the $3-billion CAD European-inspired downtown community project being developed by Remington Developments, the Toronto Marriott Markham Hotel provides easy access to major highways, and is conveniently located near Main Street Unionville, the Pan Am Centre, and the upcoming York University East Campus Built. Check in at http://www.marriott.com/hotels/travel/yyzmr-toronto-marriott-markham/ for more.